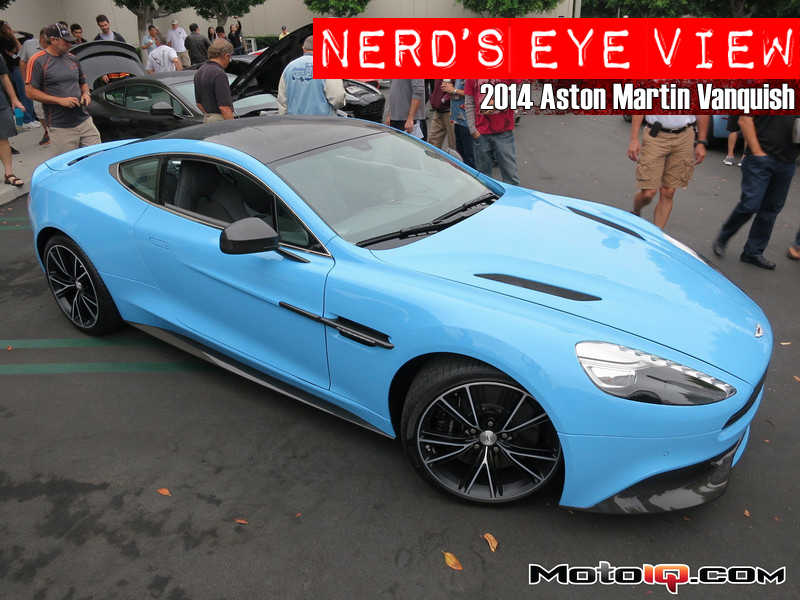 On my last foray down to Cars and Coffee in Irive, California, Aston Martin brought out a fleet of cars along with the upcoming 2014 Vanquish. Better yet, Aston brought along a cutaway of the car showing off all the bits and pieces usually hidden by paint and interior panels. 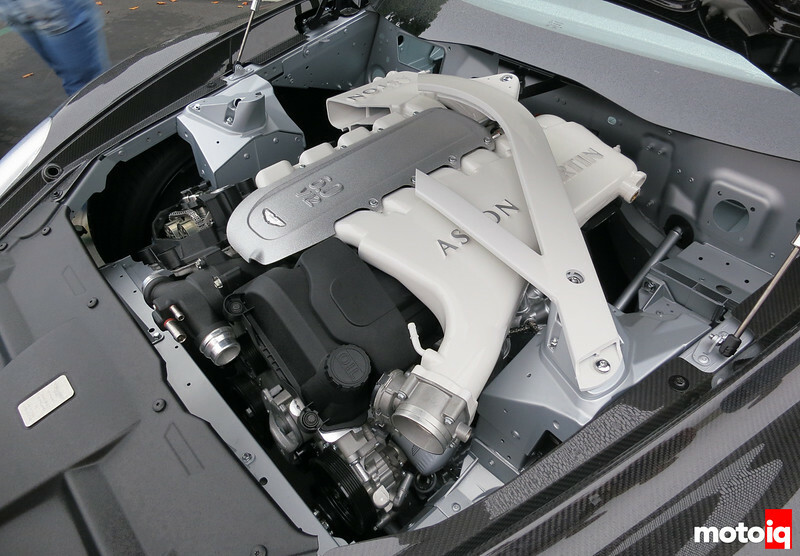 Some of the notable features are the aluminum frame, all carbon fiber body, and 6.0L V12 residing under the hood. It’s the little details which ring up the price on this beauty to almost $300k. Here is a closer look at the nitty gritty stuff. Under the bonnet (it is a British car after all) is this massive 6.0L V12 along with a triangulated chassis brace tying in the shock towers to the firewall. Speaking of the shock towers, they look to be stamped aluminum segments mechanically fastened together by riveting. 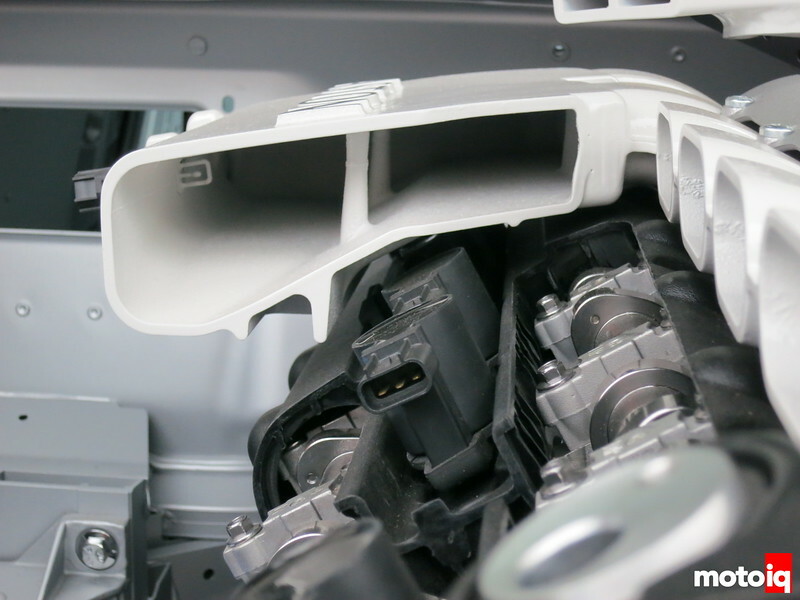 The intake manifold appears to be cast aluminum. The sensor poking into it should be for measuring air temperature. Want to change the spark plugs? Best take it to the dealer as the coil packs and plugs sit under the intake manifolds. 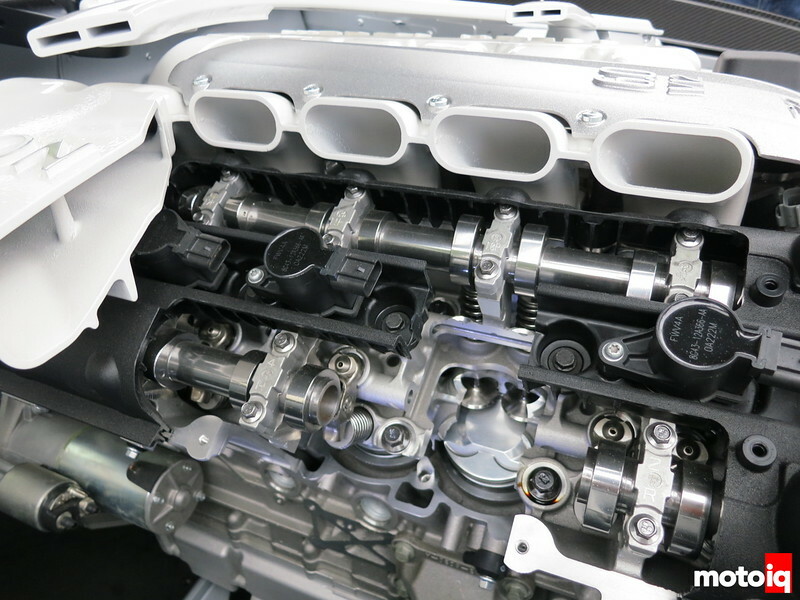 A view of the oval shaped runners of the intake manifold along with the dual overhead cams. The cam lobes appear to be riding on roller rockers for reduced friction. The relief cuts in the pistons for valve clearance are a good indicator this is a high compression ratio engine. At the top of the picture, you can see the triangulated chassis brace is hollow for reduced weight with a central rib for additional stiffness. 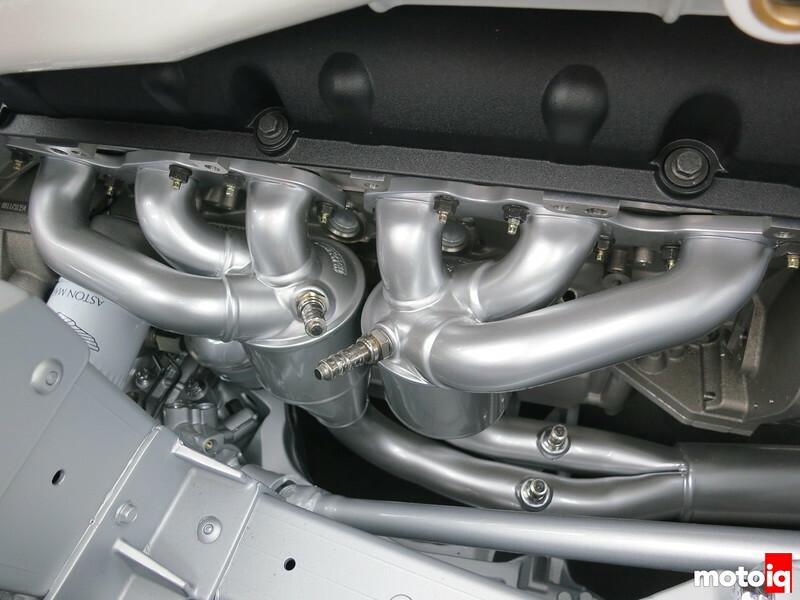 There are four close-coupled catalytic converters on this engine, each at the end of tubular 3-runner exhaust manifolds. The shaft running down the bottom next to the exhaust manifold is the steering shaft going forward to the steering rack.